Palm oil can be found in food and cosmetics everywhere: in fact, half of the world’s population uses palm oil in food. But public awareness about the loss of wildlife through deforestation caused by palm oil crops is growing, and there’s mounting pressure on retailers to reduce their sales of palm oil products, or boycott them altogether. The debate has become especially heated since a Christmas advert by UK-based supermarket chain Iceland – which dramatises the link between palm oil, deforestation and the death of orangutans - was barred from being broadcast in the UK, on the basis that it would have breached political advertising laws, because the animation was originally produced by Greenpeace. In the first four days of its release, the video was viewed 13m times. A petition to overturn the advert ban has so far attracted more than 720,000 signatures. But while Iceland’s campaign has been a great way to bring more public attention to food sustainability issues, an outright boycott on palm oil products could actually lead to more problems for forests and wildlife. A recent report by the International Union for the Conservation of Nature, concluded that boycotting palm oil would merely shift – rather than counter – losses to rainforests and wildlife caused by agriculture. Put simply, boycotted palm oil would need to be replaced by other types of vegetable oil to meet global demand – and that could actually make matters worse. This is because, compared to other common sources of vegetable oil – such as rapeseed and soybeans – palm oil crops yield four to ten times more oil per unit of land, and require far less pesticide and fertiliser. In fact, palm oil makes up 35% of all vegetable oils, grown on just 10% of the land allocated to oil crops. So, if other crops such as soybean replaced a shortfall in palm oil, this would not only shift more production to the Amazon (a major soy-producing region), it would also require more land, leading to more deforestation. Indeed, soybean farming is already responsible for more than double the deforestation of palm oil. In the context of other food sources, livestock and beef production has led to more than five times the amount of deforestation, compared to palm oil. Certification – a mechanism by which consumers pay higher prices for more responsibly sourced products – is one way to help safeguard rainforests, and the wildlife which lives in them. Palm oil certification is spearheaded by the Roundtable on Sustainable Palm Oil (RSPO), who are leading the market toward environmentally and socially responsible palm oil that doesn’t contribute to deforestation. As the RSPO meets to renew its sustainability commitments, one major challenge facing the sector is that less than 20% of the world’s palm oil is currently certified as sustainable. 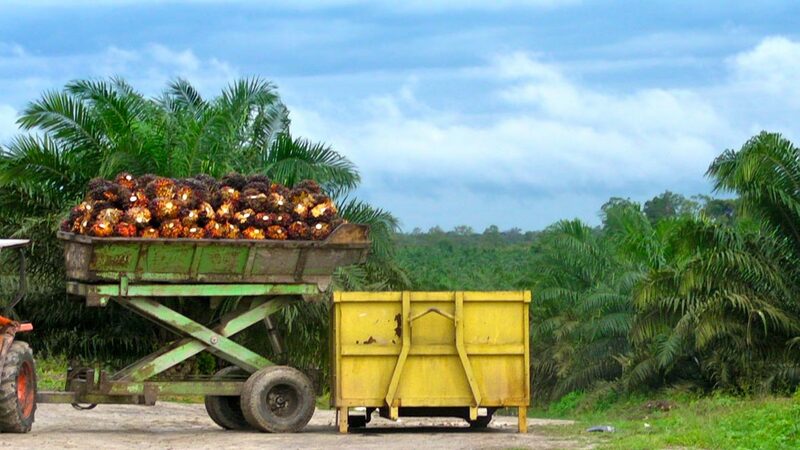 There is little incentive for producers to seek certification – or for retailers to promote environmentally and socially responsible products – as long as the debate continues to focus on boycotting palm oil altogether. As a result, only about half of sustainable palm oil is actually sold as certified, because a large proportion of the market is not willing to pay the premium for sustainable products. To help the palm oil industry to safeguard wildlife, conservation scientists are working with certification bodies and producers to improve how palm oil cultivation affects biodiversity. It can be as simple as growing the crop on non-forested areas. But it can also involve protecting forests along rivers, such that they join up patches of high quality forest within the palm oil landscape, allowing wildlife to move more freely. 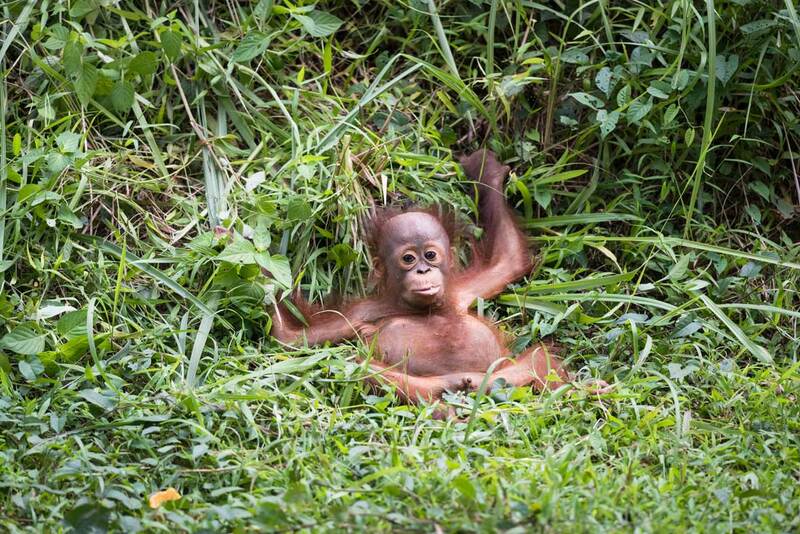 If certification of palm oil becomes more popular, it will improve prospects for wildlife, including orangutans. This is why major conservation organisations – including leading orangutan charities and Greenpeace – continue to support certified palm oil, rather than a boycott. And now, environmentally conscious consumers can check where they can buy products that contain responsibly sourced palm oil. Hopefully the interest sparked by Iceland’s advert will bring positive changes for rainforests and their wildlife. But a boycott is not the best answer. The best thing retailers can do is support their suppliers to bring more responsibly sourced products to the supermarket shelves this Christmas. Why have 100,000 Bornean orangutans disappeared in the last 16 years?